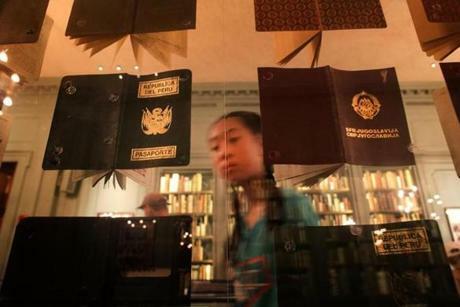 Passports frame exhibit visitors at Harvard's Houghton Library, which is hosting the “Passports, Lives in Transit” exhibit through Aug. 18. The colorful quilt of passports looks worn and faded. They hang one above the other, remnants of a different time, gatekeepers in some cases for countries that no longer exist. 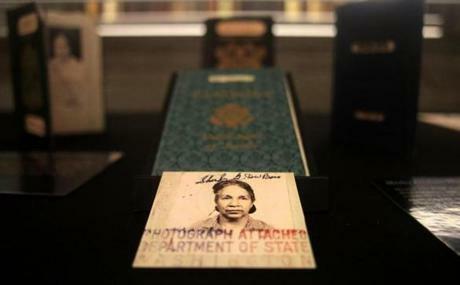 It took two doctoral students months to track down the expired documents found in Harvard University collections for their exhibit, “Passports: Lives in Transit.” It also includes many expired passports the two students bought on eBay from strangers around the world, as well as visa applications and other items related to migration and travel. The exhibit is on display at Harvard’s Houghton Library until Aug. 18. Co-curator Lucas Mertehikian, who is studying romance languages and literature, said he and co-curator Rodrigo Del Rio wanted to explore the importance of these small booklets. 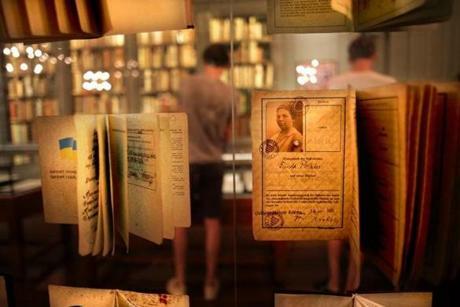 It took two doctoral students months to track down the expired documents found in Harvard University collections for their exhibit. Passports are telling, Mertehikian said, because they give insight into where people traveled, such as those who fled the Armenian genocide. 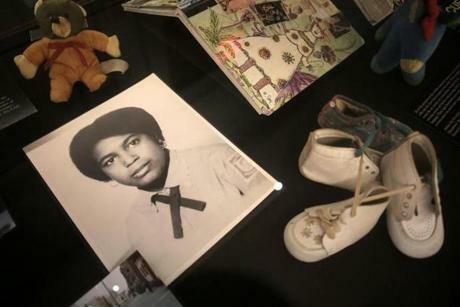 In one personal portion of the exhibit, Harvard student Anthony Otey Hernandez provided items that belonged to his late mother that told of her experience coming to the United States from Costa Rica. 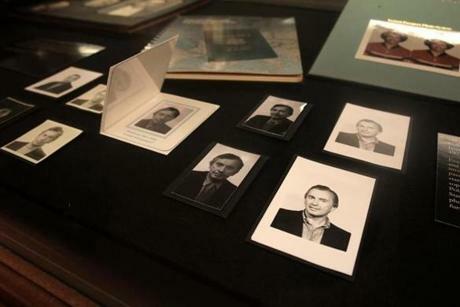 A selection of writer Gore Vidal's passport photos. On Friday, during a free event, there were panel discussions on identity, migration, and passports. Photographs and mementos belonging to the mother of a Harvard student. A passport photo belonging to Shirley Graham Du Bois.